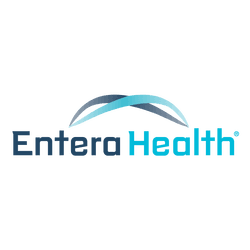 ENTERAGAM™ (SERUM-DERIVED BOVINE IMMUNOGLOBULIN/PROTEIN ISOLATE, SBI) TO BE FEATURED ON "THE BALANCING ACT﻿" AIRING ON LIFETIME TELEVISION - Entera Health, Inc. If you or someone you love is one of 40-million people in the U.S. suffering from Irritable Bowel Syndrome (IBS), you will want to tune in to hear "The Balancing Act" airing on Lifetime Television® at 7:30am EDT/PDT on either Wednesday, April 1st or Wednesday, April 8th. This episode will include an informative health segment featuring interviews with Board Certified Gastroenterologist and Expert in Functional Bowel Disease Christine Frissora, MD and Medical Scientist Victoria Jaison, PhD.